Hesco Bonefrog Challenge is currently having its moment in obstacle course racing. With the closure of another frog, the profile of Hesco Bonefrog Challenge continues to rise. However, like many small independent race series Bonefrog has mostly been putting on quality events under the radar. The company was founded in 2012 by former Navy SEAL, Brian Carney, after spending thirteen years in the SEALS. Carney knew he wanted to be part of the OCR community even before leaving the SEALS. When he got out he went to work. For most racers in New England area, Hesco Bonefrog Challenge has long been a gem of the region. This year the race series has made its biggest expansion heading all the way down to Orlando, Florida in a few weeks. Bonefrog Challenge is a labor of love for Carney who enlisted several of his former SEALS to help produce each race. With the unique obstacles and the three tier race format, Hesco Bonefrog Challenge is rising to the prominence that many in New England have already had for the race series. With two events left in 2016 and ten slated for 2017 Hesco Bonefrog Challenge is definitely having its moment. They recently brought on emcee Dustin Dorough and new marketing team behind the race series. Mud Run Guide sat down with Carney to talk about his series, how it's grown and how it also in ways has stayed at same with its roots in family and tight bonds to the community. 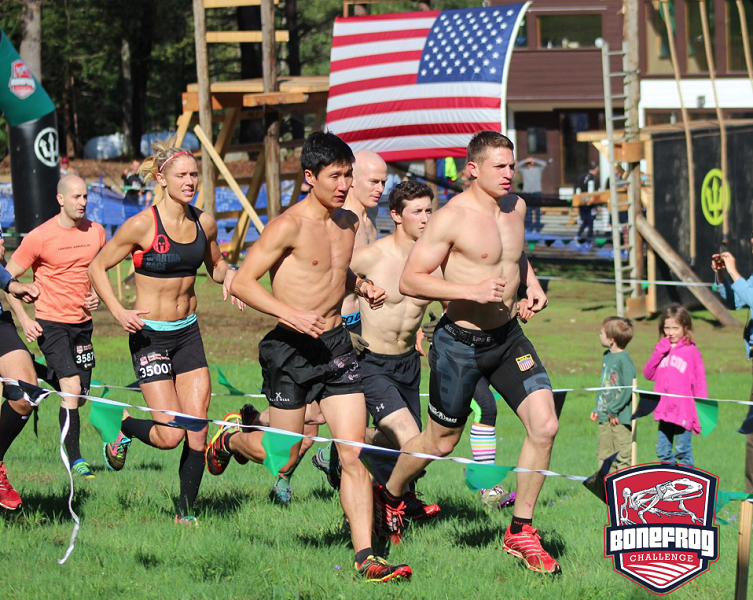 Use discount code BONEFROGMRG for 10% off your Bone Frog Challenge registration!